Tuning Program for all the Lexus LS Models is the Flagship Model of WALD as the Tuning Maker. 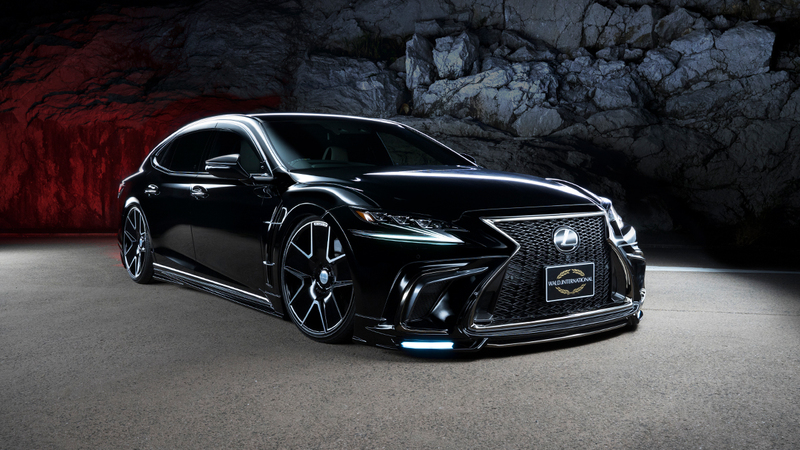 The Luxury and Adult Atmosphere to make the add-on type spoilers with the LED Lamps and Chrome Accents to match with the flagship model of Lexus. The Design of the Front Add-On Spoiler was created with the many of the detail lines. To make the F-SPORT Front Face aggressive, WALD designed the Duct Cover. The Color of the Chrome Accents are available for "Chrome and Dark Chrome" based on the difference of the Grade of Lexus LS. For the Rear Styling, WALD prepare 2 different Rear Skirt to fit on all the Grades. Exhaust System and Muffler Cutter are available for Turbo Model, and Chrome Tail Finisher is for Hybrid Model.